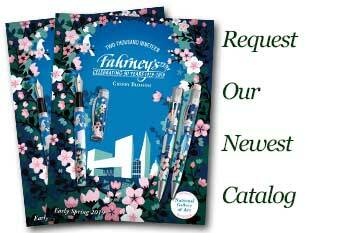 Order your Montegrappa Ducale Fountain Pen today from FahrneysPens.com. Fine Pens, Refills & Luxurious Gifts – great prices & fast shipping. After 80 years, the glorious Ducale name returns to Montegrappa, giving life to a new collection of unparalleled elegance. First appearing in the 1930s, the Ducale fountain pen marked the arrival of upscale writing instruments for Elmo - the original name for Montegrappa. 'Ducale' acknowledges the famed Doge's Palace, or the Palazzo Ducale, one of the symbols of Venice and a masterpiece of Gothic design. 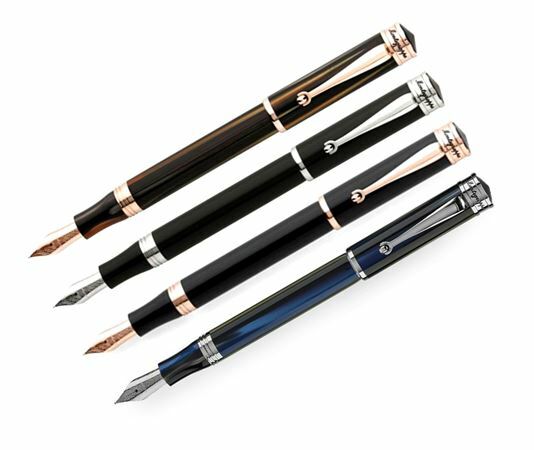 Embodying the essence of Venetian culture and tradition, the Ducale fountain pens exude sophistication and dignity. The generously-sized writing instruments are perfectly balanced, a joy to hold and a delight for writing. 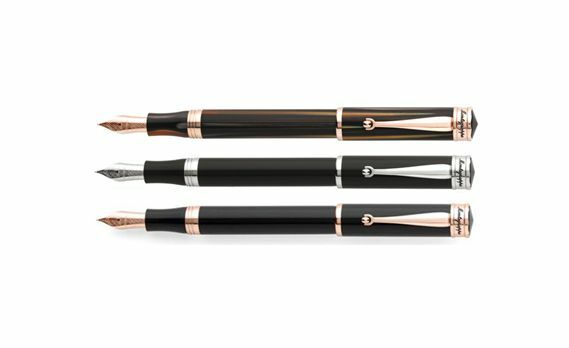 The Ducale fountain pens are crafted from resin. Fountain pen offers a terrific polished steel nib engraved with a honeycomb pattern. The clip holds the signature rolling ball that glides into your pocket.